Tata's Crossover "X" to take on the likes of Ford Ecosport and Renault Duster! The automotive slowdown has crippled car makers to make any profit in this fiscal year.Lack of co-operation and policy paralysis from the government has forced car makers to roll out new and innovative models to keep their ships afloat. Despite slowdown there is only segment that has witnessed high growth i.e. the compact SUV.This theory is endorsed by the large volumes sold by Renault and Ford for their Duster and Ecosport SUVs respectively. With compact SUVs selling like hot pancakes every car maker is rolling out its own compact SUV to get a share of the staggering SUV market. Since Tata motors has lost its market share to SUV maker Mahindra & Mahindra due to its absence in the competitive SUV market. Tata motors are burning the midnight oil to regain its lost market share by launching its own compact SUV. 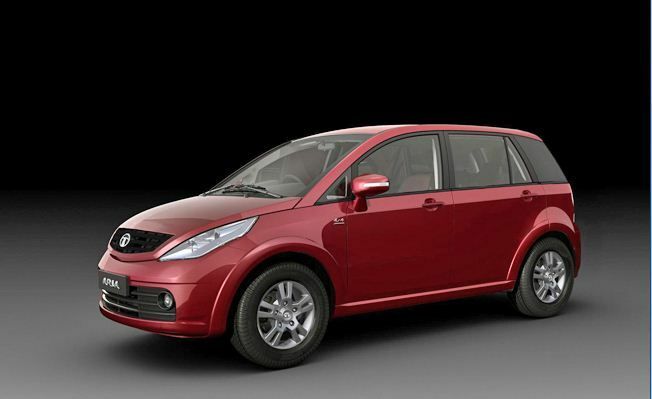 We bring you the details of the SUV, popularly called as Tata crossover "X" on the web. Based on the vista platform and by breathing a new design language Tata motors is doing everything possible to make the car look refreshing and appealing. It might take a couple of years till the project gains full steam. With production being as far as 2015 not much seems to have been done about it. Even though with brilliant models in its kitty Tata motors has failed to impress the Indian consumers. Betting high on this unmasked beauty they aspire for a turnaround. Brilliant engineering combined with intelligent marketing can turn the tables for sure. Nothing much has been revealed about its engine specifications. Considering the fact that it is based on vista platform they might go ahead with the 1.3 liter fiat multi turbo diesel engine or a new engine might be sourced specifically for it. Only time will tell whether the new car will be a blessing or doom for Tata.